“I’m very pleased that Tim will join Nathan and Andrew at Le Mans,” comments Stewart Roden, Scuderia Ecosse Team Principal. 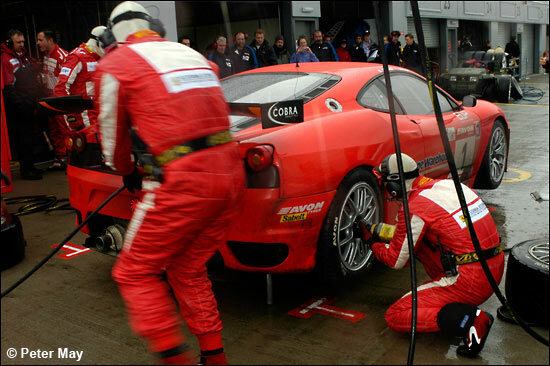 So that’s Nathan Kinch, Andrew Kirkaldy and Tim Mullen in the #87 Ferrari F430 GTC at Le Mans. All three are racing for the team in the FIA GT Championship this year, and Kinch and Kirkaldy raced for the team at Le Mans last year, with Anthony Reid. Determined words – from a determined team owner. He and the team have plenty of workn ahead of them in the next three weeks, starting with the FIA GT event at Brno this weekend. The Le Mans car should appear in France in a whole new livery – one that was just about hidden from view at Donington Park last weekend, where the team made it three wins out of three in the British GT Championship.